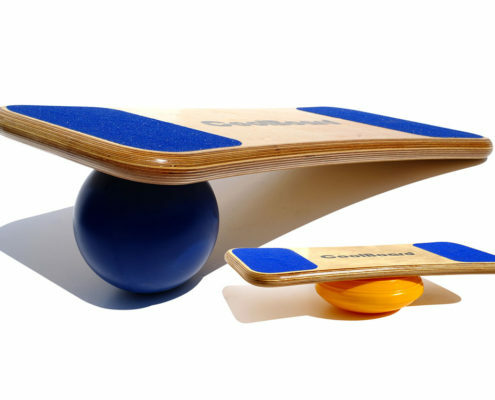 ‘Simply’ balancing on your CoolBoard is a fantastic workout for your body below mid spine, whilst also training your balance and proprioception. Wondrous for all of us. While balancing you’ll be working all the major muscles of your legs, along with your balance and proprioception. More importantly your core strength and stability, all of your joint stabiliser muscles in your legs, feet and your lower spine will all be worked. Perfect for lower back pain, knee injuries, etc, and a good way to help you avoid them in the future.